The endocannabinoid system is perhaps the most crucial biological system involved in creating and maintaining optimum homeostasis in your body. Endocannabinoids and related CB1 and CB2 receptor sites are produced and found nearly everywhere in your body. They are in your brain, tissues, organs, glands, and cells. In each region, your endocannabinoid system performs countless functions with one sole purpose, homeostasis. 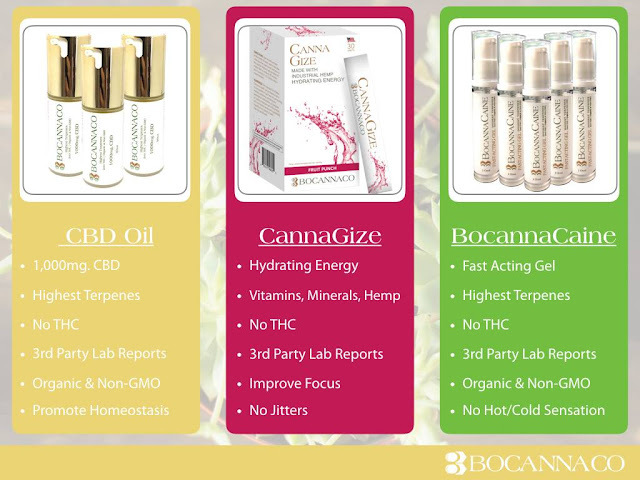 By consuming cannabidiol (CBD), homeostasis begins to occur in your body at an unprecedented speed on many levels. Fundamentally, CBD provides internal balance for human anatomy despite wildly accelerating changes and stress in your external environment. One example is relief from inflammation and pain from chronic or acute injury while incurring no tolerance or dependence. CBD minimizes pain and damage caused by an injury. CBD prevents your body from doing too much of a good thing when injured by inhibiting your body’s immune reaction from growing out of control. This is done by inhibiting activators such as histamine and C-reactive protein (CRP), therefore limiting inflammation. At the same time, CBD throttles your nerve cells from excessive synaptic firing, acting as a potent pain reliever. Another example of homeostasis caused by cannabinoids is its powerful effect on cancer and tumors. Cannabinoids optimize normal cells while hunting down and killing cancer and tumor cells. Malignant cells produce a high amount of a compound that CBD is attracted to. This causes an unhealthy cell to die, leaving only healthy cells and enhancing your body’s homeostasis at a whole new level. CBD is well researched for its anti-convulsant, anti-inflammatory, anti-oxidant, anti-psychotic, and immune system properties. CBD users have lower levels of C-reactive protein which is directly connected to cardiovascular disease and stroke. CBD is known to help with Alzheimer’s, arteriosclerosis, bowel disorders, cirrhosis, depression, diabetes (type 1 and 2), hypertension, metabolic syndrome, nausea, neuropathic pain, osteoarthritis, rheumatoid arthritis and much more, all without causing tolerance or dependence. I think maybe the sentence in orange explains a whole lot about the relief we who have Parkinson's get with the Bocannaco oil! Professor, how far have we come from the 1961 UN Single Convention on Narcotic Drugs – Especially concerning Cannabis research? Well, we haven’t come far enough. We’ve been seriously held back by the ’61 convention, which essentially denied medical value and therefore put great roadblocks in the way of people studying this plant. We’ve missed some huge opportunities over the last 50 odd years. Some countries have fought back – The Dutch and the Spanish, and the Americans now. But still, the research opportunities lost have been vast. Where we’ve come to is at least restoring some of the areas of knowledge we had before the 1940’s, when Medical Cannabis was truly outlawed in the States. It had value – so we’re slowly putting it back where it needs to be, in terms of pain control and spasticity, tension, anxiety and sleep disorders. We still have a long way to go. What do you think of the World Health Organisations’ critical review document? Are you involved in the Expert Committee? No. We submitted a paper to the WHO expert committee before last Christmas, which gave them the background and authority to demand a review. It was decided by the WHO lawyers (Incorrectly I believe) that they couldn’t add it to the agenda. However, they have asked the WHO to ensure that there is a proper preview of the original (edit – The original document from which they formulated their ’61 stance) in anticipation of the next expert committee meeting in 2018. You’re never sure if they’ll actually do it. The WHO have been asked this on three occasions in the past four years and they’ve never bothered. What’s your opinion on International Cannabis Policy? Our international cannabis policy seems to be, thankfully, slowly collapsing. The American prohibition style control seems to be waning, now they have Cannabis being liberalised in their own country. There was an interesting comment made in the final document at the last UNGASS meeting – That they encourage local innovation and research projects to see whether there are better strategies than just prohibition. I actually think that it’s the beginning of turning the corner. I think the future, at least for most sane countries, looks promising.